November 8th SCHRA Chapter Meeting – Yes Vets!! Position your company on a strategic advantage by learning about all of the resources in your community to help you find Veterans. Attendance, punctuality, dedication, not a problem. In support to the SHRM Yes Vets program. SCHRA has put together a team of experts to help HR professionals in our community understand how Vets skill can be transfer to jobs not military in nature. After the meeting, attendees will be able to apply Vets military-skills into nonmilitary skills. We will also take a journey to learn about the many organizations in our communities and understand how much efforts are put to make sure Vets are ready to take on their next assignment outside the military field. We will also explore some of the benefits companies could enjoy when hiring vets, such as tax credits. 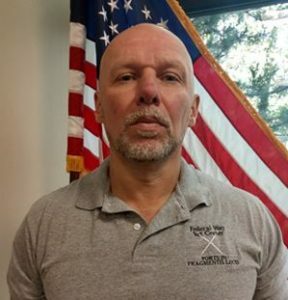 Pete joined the Federal Way Vet Center on October, 2015. 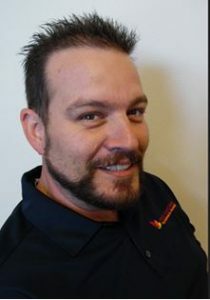 Before coming to FWVC, he entered the US Army as an Infantryman and retired after serving 26 years with the rank of a Brigade Command Sergeant Major. He is a Global War on Terror Veteran with multiple deployments to the Balkans, Kosovo, Iraq and Afghanistan. His duty assignments include Fort Benning, Ga; Vilseck, Germany; Fort Bliss, TX and Fort Lewis, WA. Pete has a Bachelor in Science and has earned numerous awards and citations including the Silver Star, 3 Bronze Stars, 3 Legion of Merits and 4 Meritorious Service Medals. Pete is married and has two kids. He enjoys riding motorcycles, following soccer and helping veterans transition into the civilian world. Staff Sergeant Shawn D. Osburn was active duty from 1993 to 1996 and in the reserves from 1996 to 2000. His deployments included Ft. Benning, GA – Ft. Hood, TX – Somalia (UNOSOM II). Currently held positions: Shipping/Receiving Manager for Smith Gardens Marysville, WA. After the military, I had several jobs mostly construction or other forms of manual labor. Then I began driving heavy equipment & Semi’s for a couple of companies in the North West. I quickly realized that I was finally fitting in as well as this was something that could support my growing family. My niche seems to be logistics & distribution, where several of my military skills have been able to transfer over. Since then I have not strayed from the profession of “distribution” it just fits who I was and who I am now. James Lapsley has been with Employment Security Department since 2003 and has been the Snohomish County Local Veterans Employment Representative since January 2007 in this role he assists and advocates for the employment of all veterans into positions commensurate with their overall knowledge, skills, abilities, and potential based upon the business needs and their culture. James further assists employers in meeting their employment and federal contractor requirements through use of the WorkSourceWA.com website. James has both hosted and co-hosted 20+ job fairs since November 2010 averaging 40+ employers, 140+ veterans, and 130+ non veterans participating per event; this diversity has enabled both the employer and job seeker to often find whom they are looking for. James has developed effective partnerships with Naval Station Everett, Fleet & Family Services, Transitional Assistance Program, Washington National Guard and Army Reserves to create localized pipelines of veterans to help fill employer vacancies. James has earned his BS in Human Services from Columbia College. James was previously a Workforce Investment Act Case Manager responsible for assisting job seekers in obtaining the necessary skills upgrade or new occupational training and then placement into appropriate positions of employment. James also has experience working in numerous aspects within the Wagner Peyser Act. 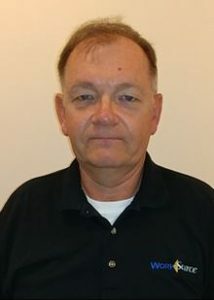 James retired from the US Army in 2002 where he spent 16 years in the Recruiting Command as a Field Recruiter, Recruiter Trainer, Station Commander (Office Manager) and Army Guidance Counsellor (Job Placement), and the previous 4 years as an Army Paralegal assigned to US Army Garrison, Fort Sam Houston, Texas, Judge Advocate General Office, and then the 4th Infantry Battalion, Mannheim, Germany. December Membership Appreciation Event – Join us for our annual Membership Appreciation Evening Event – Tuesday, December 11th from 5pm to 9pm at Embassy Suites in Lynnwood, 20610 44th Ave West, Lynnwood, WA 98036. Link to register will be posted soon! !